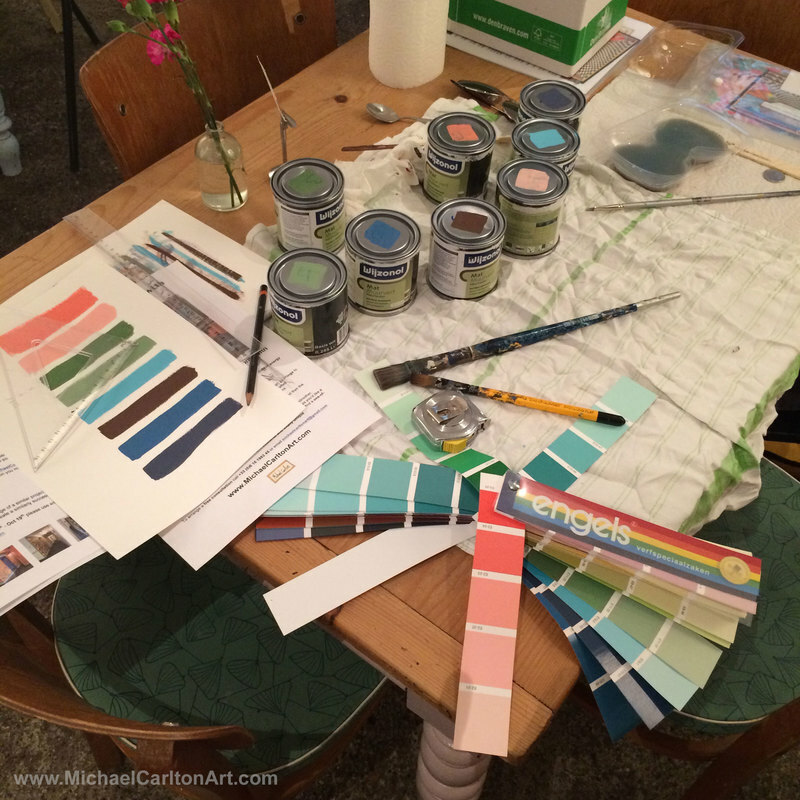 I offer an interior design service for independent businesses to bring customised and made-to-order art to your premises and a unique and colour-enhancing spin to your brand. 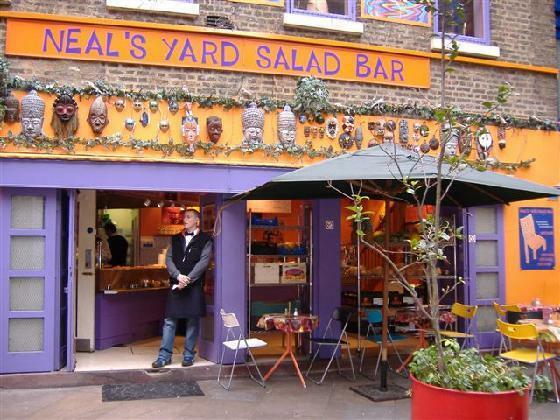 ​This service is designed to bring an eye-catching, colourful vibe to your business premises and to also give a unique and memorable talking point for your customers. 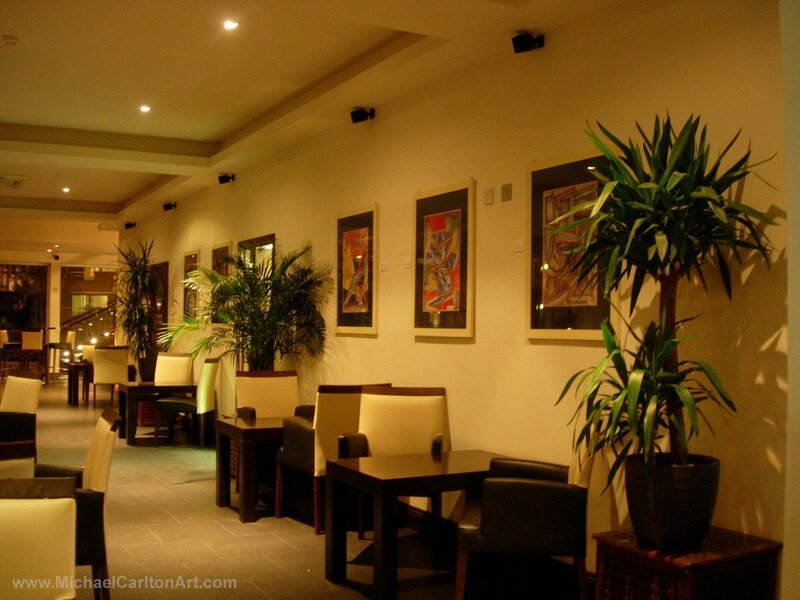 I offer a range of services including murals, detailing, made-to-order prints, and original paintings in a variety of styles to match the branding of your business. All items and installations are made-to-order and can be created in a colour scheme to match and enhance the decor of your premises and the colours of your brand. ...and if you have any questions let me know! 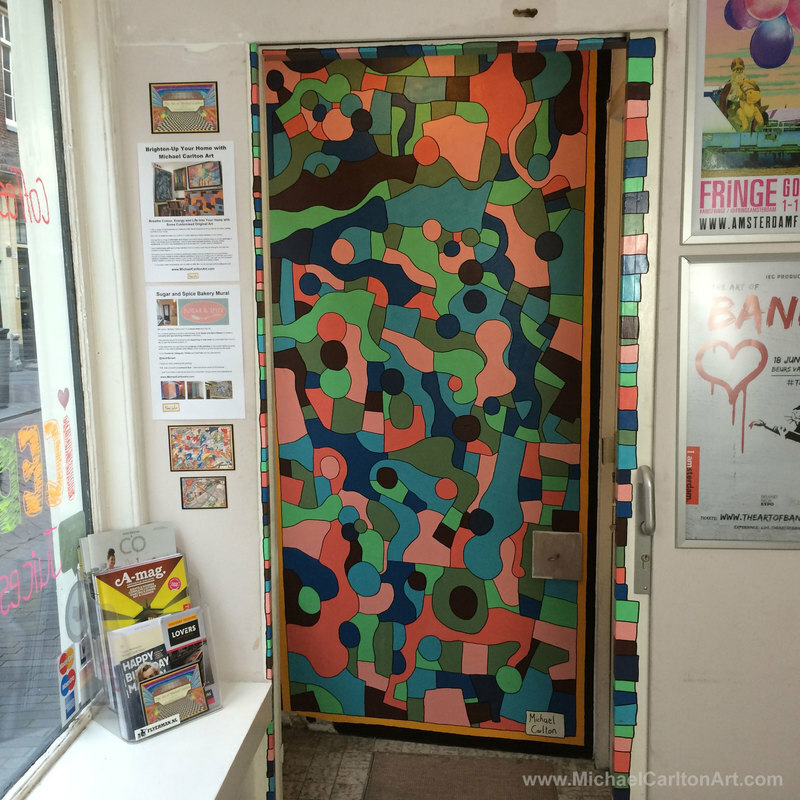 "Michael painted a mural in the doorway entrance to my business. I was having problems with the entrance area before - it was quite ugly and uninviting, and because it was a shared entrance with the flats above my premises it was confusing for my customers as to whether or not they should enter. Michael painted the area in the colours of my brand and now it's very clear that the doorway is the entrance to my business. It's also very eye-catching for people walking past and is very uplifting and cheerful too. It complements the colour scheme of my shop perfectly and my regular customers have commented on how much it has improved the way the shop looks. 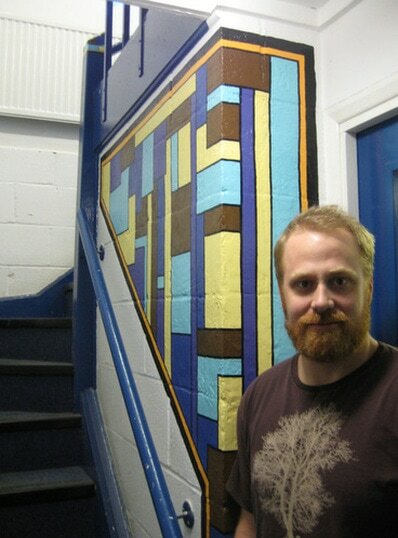 I'm very happy with it - thank you"
​"We commissioned Michael to paint a mural for the stairway entrance to our workspace. We do a lot of technical work here and we wanted something creative and fun to balance things out which the mural does wonderfully. We love the colour-scheme and the way it welcomes people in and directs them up the stairs. It's great that it's the first thing people see as it expresses a lot of the creative freedom we like encourage in our space. We also like the geometry and the structured-but-at-the-same-time-random mix of shapes as this really captures a lot of what we're about here. 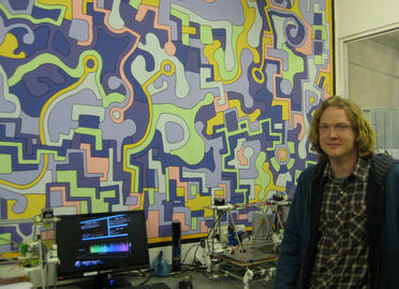 We also commissioned Michael to paint a 7.5 square-metre mural in the main workroom of our space. We really enjoyed watching the piece grow and the finshed painting is just incredible. It totally fits in with our environment, it brightens-up the room, and it makes the room a nice place to be. It's so colourful as well and brings a very pleasant aesthetic to our place. Totally awesome and we'll definitely be having more done soon!" We commissioned Michael to paint the basement area of our bar and restaurant. The whole area was a bit of a no-go area and we didn't know what to do with it. 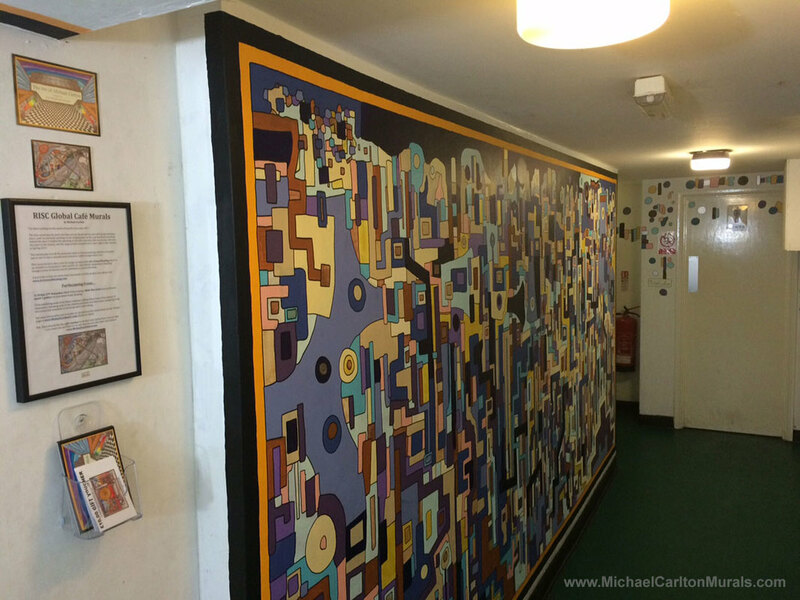 Michael painted a series of colourful and eye-catching murals and since then they've really brought the whole place to life. We were also having problems with graffiti and since the paintings have been there the incidences of graffiti and tagging have significantly decreased - which we like! We're very happy with the paintings - they've really brought the place to life - and they've been very popular with our customers too!